Summit, New Jersey is an ideal weekend destination for garden enthusiasts or those wanting to explore central New Jersey. This picturesque community is rich with history and culture, and has inviting oak-lined streets and Victorian architecture. Shops and restaurants line the downtown street, enticing sightseers and residents to linger; yet New York City is an easy commute from the train station. Nestled within the shaded avenues is the DeBary Inn. 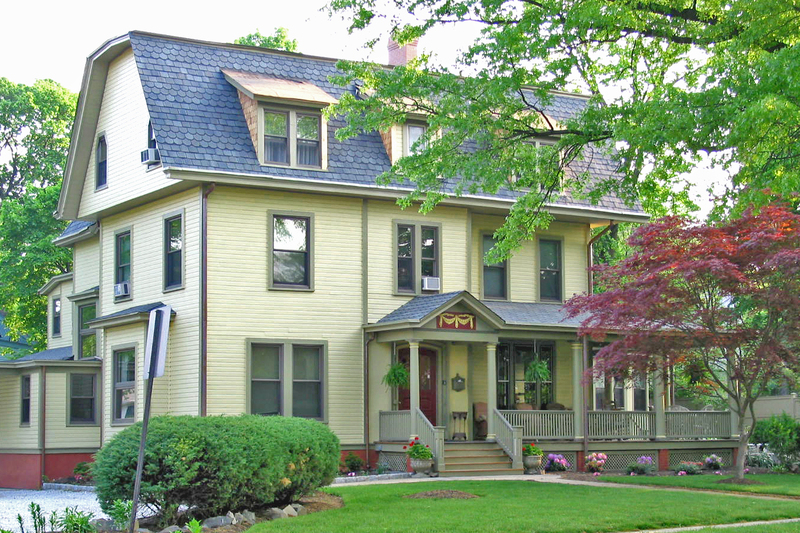 Owners Anita and Hill Rose have remodeled the circa 1880 mansion to create an atmosphere of serenity and Old World charm. While the elegantly appointed rooms reflect period design, modern amenities abound. A full breakfast is served in the light-filled dining room, which overlooks the deep covered porch and blooming gardens. The gourmet breakfast is specially prepared with healthy, natural; organic ingredients, said co-owner Anita Rose. During our stay, tempting European-style pancakes were served with lingonberry preserves and pure maple syrup. Over 25 restaurants are within walking distance of the DeBary Inn; many feature al fresco dining during clement weather. My companion and I strolled to La Pastaria on our first night, where we savored a local favorite, Pork Chop Giambotta, (grilled chops sautéed with mushrooms, onions and peppers) while we enjoyed a street-side view of the gathering dusk. On our second evening, we joined a vibrant crowd at Winberie’s, which has an eclectic range of menu offerings featuring contemporary American cuisine. Cedar Planked Salmon, served with seasonal vegetables, is a crowd pleaser. While Summit is approximately a two-hour drive from Newark, Delaware, I recommend checking into your accommodations and getting directions to gardens or other venues. New Jersey roadways can be confusing. 2012 Update: Since I stayed at the DeBary Inn, it has changed owners and been extensively remodeled. Updated information can be found on their website. This story was first published in the News Journal in 2007 under the byline of Gail A. Sisolak. All rights reserved. Categories: New Jersey | Tags: Garden State, La Pastaria, Mid Atlantic Region, Mid Atlantic States, Mid Atlantic Travel, New Jersey, New Jersey Gardens, Summit, The DeBary Inn, Travel, Winberie’s | Permalink. Grounds For Sculpture, a 35-acre sculpture park and museum, has captivated visitors since 1992, and has only gained in popularity as more of the public discovers its tranquil setting and engaging sculpture. Over 240 contemporary sculptures, from monumental to smaller scale, can be found on the beautifully landscaped grounds. Indoor Exhibitions of emerging and well-known artists are shown throughout the year in two expansive, glass-walled buildings that were once exhibit halls for the New Jersey State Fair. Grounds For Sculpture also offers gardens, water features, an exciting restaurant—Rat’s, a Café, Museum Shop, Toad Hall Shop & Gallery, and a seasonally-open Gazebo Café for visitors. Categories: New Jersey | Tags: a Café, Arboretum, Garden State, Grounds for Sculpture, Mid Atlantic Region, Mid Atlantic States, Mid Atlantic Travel, New Jersey, New Jersey Gardens, Rat’s, Toad Hall Shop & Gallery, Travel | Permalink. 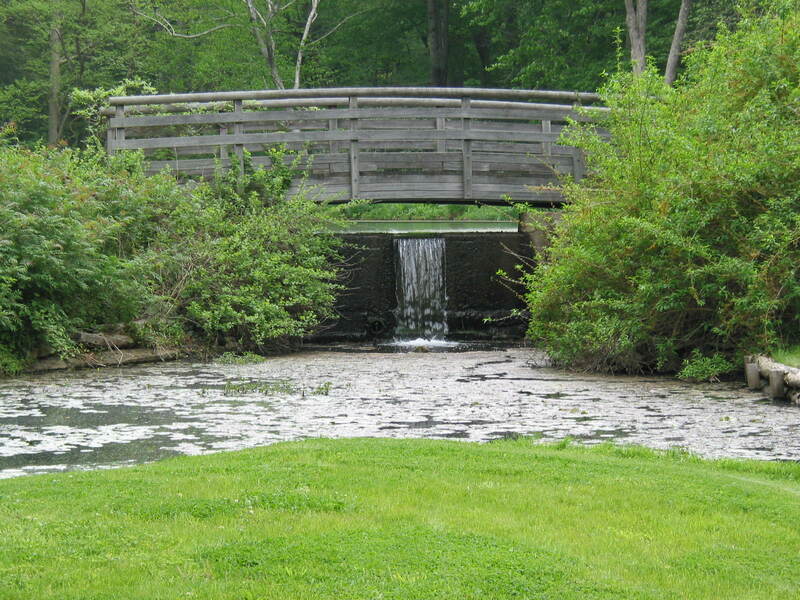 The Reeves-Reed Arboretum is 12.5-acres of magnificent natural beauty. 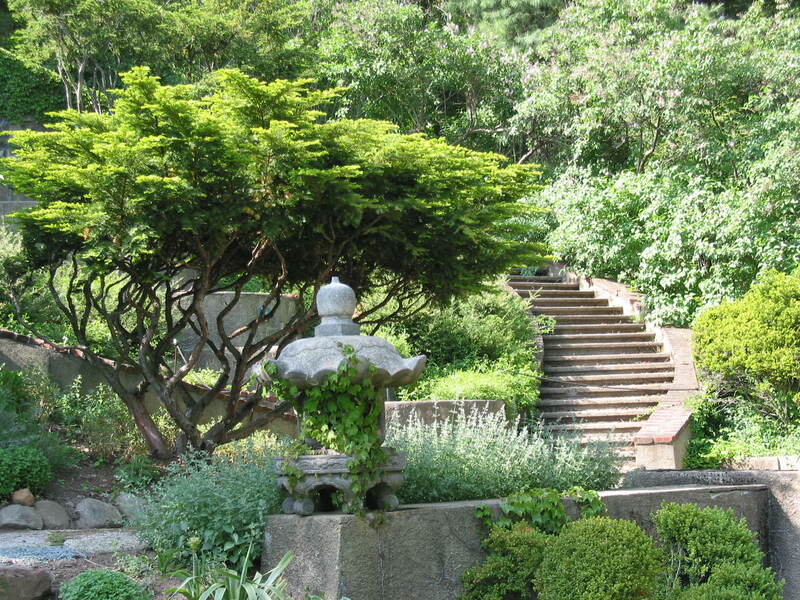 Its estate and gardens represent design trends by prominent landscape architects of the late 19th and 20th centuries. Distinct from a park, an arboretum is an educational conservancy promoting the awareness that the natural environment needs protection and deserves concern. Trees, shrubs and herbaceous plants are conserved and identified in their natural settings for study and appreciation. Native flora, new plant introductions and unusual specimens that can be grown in the region are on display. Categories: New Jersey | Tags: Arboretum, Garden State, Mid Atlantic Region, Mid Atlantic States, Mid Atlantic Travel, New Jersey, New Jersey Gardens, Reeves-Reed Arboretum, Summit, Travel | Permalink. 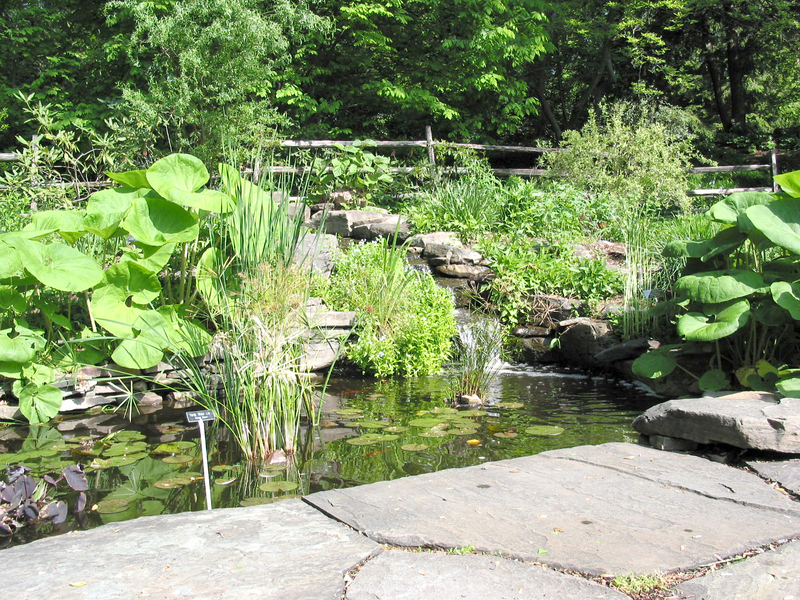 Naturalistic plantings of native wildflowers, shade perennials and ferns set in a rugged rocky terrain make the 29-acre Leonard J. Buck Garden one of the premier rock gardens in the eastern United States. Mining engineer Buck brought his blasting expertise home and blew away parts of the countryside to reveal the indigenous rock formations. Landscape architect Zenon Schreiber worked with Buck to develop a garden that would be ecologically correct and not recognizable as being man made. Each outcropping is slightly different, creating varying microclimates which enable different plant groupings of native wildflowers, shade perennials, and ferns, to survive. Categories: New Jersey | Tags: :Leonard J. Buck Garden, Far Hills, Garden State, Mid Atlantic Region, Mid Atlantic States, Mid Atlantic Travel, New Jersey, New Jersey Gardens, Summerset County Park, Travel, Zenon Schreiber | Permalink. While Greenwood Gardens is undergoing renovation, it still provides a multilayered experience that includes historic Arts and Crafts-inspired architecture, superb plantings, and wide vistas. This 22-acre garden adjoins a 2,100 acre forest preserve. Tours of Greenwood Gardens transport visitors to an era of country estates, gentleman farmers, and elegant tea parties on wide swaths of lawn. After nearly a century of private ownership, Greenwood Gardens is now open to the public on a limited basis. Join the resident feline celebrity, Bubba, for a respite on the flagstone terrace, or a wander amidst the whimsical mid-century statuary. Check the Greenwood Garden’s website for tour availability. Categories: New Jersey | Tags: Garden State, Greenwood Garden, Mid Atlantic Region, Mid Atlantic States, Mid Atlantic Travel, New Jersey, New Jersey Gardens, Short Hills, Travel | Permalink. While there is no definitive explanation for New Jersey’s nickname of “The Garden State,” New Jersey is unquestionably filled with public gardens and arboretums. Whether you are looking for a verdant oasis filled with birdsong, a chance to explore moss-covered pathways framed by historic garden architecture or the opportunity to view sculpture set amidst dramatic scenery, New Jersey has something for you. This 127-acre facility includes a Colonial Revival home on the National Historic Register, many nature trails, themed gardens, plant collections, and art gallery. Ever changing seasonal blooms provide visual interest throughout the year. Inviting benches, chairs and picnic tables encourage visitors to linger, or picnic while enjoying the scenic splendor. Raised beds filled with a profusion of colorful plants are accessible to all visitors, including young children or those with mobility restrictions. Frelinghuysen Arboretum is part of the Morris County Park Commission (MCPC) which is considered a leading park system in the nation. 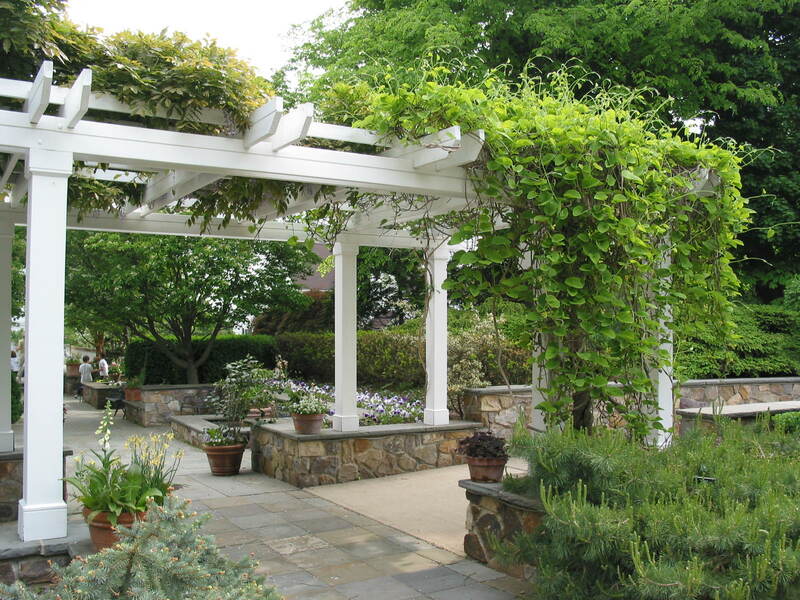 Categories: New Jersey | Tags: Accessible Gardens, Frelinghuysen Arboretum, Garden State, Mid Atlantic Region, Mid Atlantic States, Mid Atlantic Travel, Morris County Park Commission, National Historic Register, New Jersey, New Jersey Gardens, Travel, Whippany | Permalink.